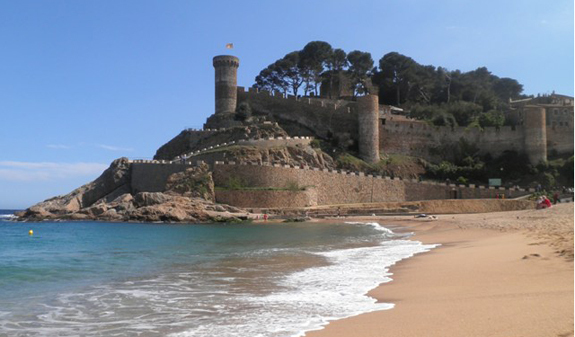 Discover Catalonia's most rugged stretch of coast. The steepest, craggiest and most fascinating coastline full of idyllic beaches and picture-postcard villages. Sail through the crystal-clear waters and discover the history of a landscape that has inspired so many artists. The beaches set among pine glades, the coves tucked away between the cliffs, the deep blue waters and the charm of its villages await you in the Costa Brava together with a vast array of cultural landmarks. 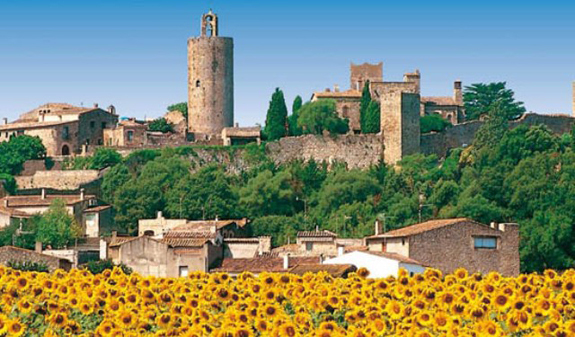 The Costa Brava Tour has been designed to ensure you enjoy the many different facets of this fascinating region on a full-day or half-day trip. The full-day option stops first in Calella de Palafrugell, a small fishing village where you'll walk along the Camí de Ronda, an old coastal path that runs along the Costa Brava and was used as a look-out point for smugglers. 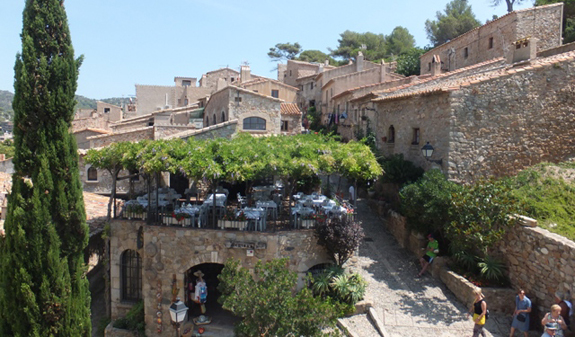 The path will take you to the neighbouring village of Llafranc where the bus will be waiting to take you to the medieval ensemble of Pals with its narrow streets that appear frozen in time. You'll sail on the Nautilus to the Medes Islands where you'll be able to enjoy views of the seabed from the boat's underwater cabins. 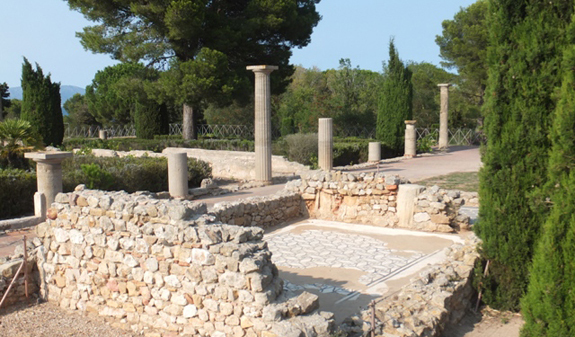 Your tour ends at the Greek and Roman remains at Empúries. The half-day option begins with a visit to Lloret de Mar, the Costa Brava's main tourist resort. 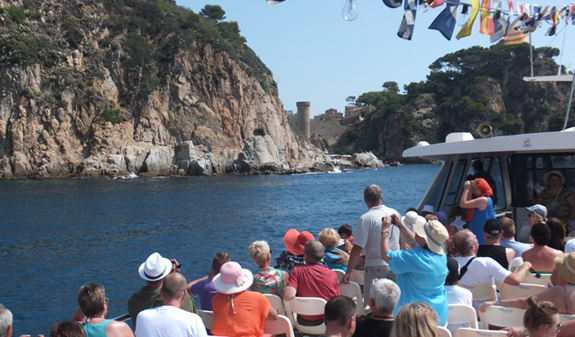 You'll take a trip along the coastline on the Dofijet boats as far as the neighbouring town of Tossa de Mar, a town which has preserved its beautiful natural setting in harmony with the development of the tourist industry. 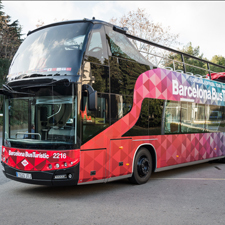 Travel by bus from Barcelona. 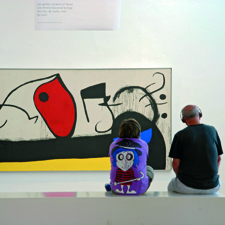 Free audioguide in French, German, Italian, Russian, Portuguese and Chinese. Tickets for the Nautilus or Dofijets, according to the chosen option. Admission to the ruins at Empúries and guided tour (for the full-day option). Times: from 1st May to 13rd October. Full-day trip: Tuesday and Friday. Departure at 8.30am and return at 8pm. Half-day trip: Monday, Wednesdays and Saturdays. Departure at 8.30am return at 4.30pm. Metting and arrival point: plaça Catalunya, in fron of Hard Rock Cafe. Metro: L1 and L3, Catalunya stop. Bus: 16, 17, 41, 42 and 55. FGC: Catalunya stop. Passengers must arrive 15 minutes before departure.